In this monograph, we will examine key questions in five areas related to medicine: science, statistics, evidence, Big Data, and the care of patients. First, when and how did science enter medicine? Second, what and how did statistics enter medicine? Third, when did evidence-based medicine begin in medicine and surgery? Fourth, what is Big Data, and how is Big Data different from EBM? Science in Medicine traces the history of science as applied in medicine as that science was developed and continues to develop today as a two-pronged effort: (1) to produce common knowledge for application to human disease and (2) to help, manage, and treat human beings. In the era of diagnosis in the early 1800s, we will view it as the early grounds of a developing evidence-based medicine; the era of recognizing the challenges of disease-related data collections in the early 1600s we will view as the early grounds capturing many of the challenges of what is now referred to as the era of Big Data. 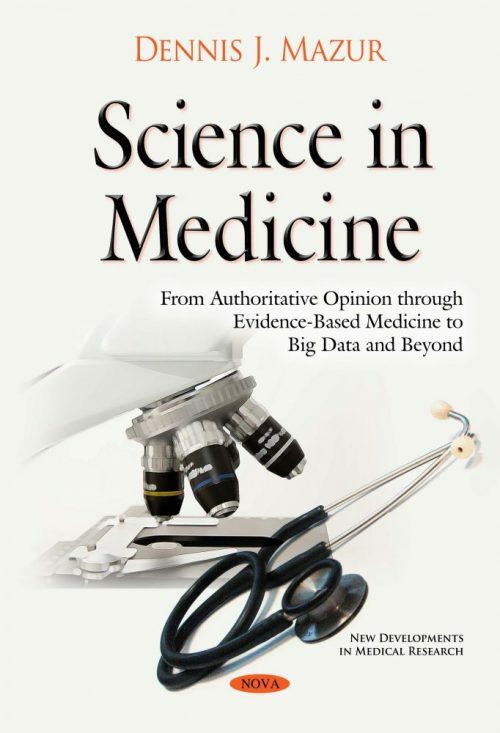 We will focus on each era of medicine and its foundations to better understand where we are today with evidence-based medicine (EBM) and Big Data, and what tomorrow will bring as scientists, mathematicians, physicians, and clinicians jointly work in taking medicine further into the twenty-first century. In all eras, we recognize the importance of developing knowledge about disease and its treatment with the recognition that research even today is not based on a study of the full-range of patients with disease. Therefore, there will always be the need to convince clinicians of whether the knowledge gained by research is solid enough to be applied to the care of the full-range of patients with the disease, or a medical condition that has been researched to some extent such that some knowledge, but not all knowledge gained. Although such knowledge may be based on the study of human research volunteers, the author hopes that it is applicable to the full spectrum of patients including clinician diagnosis, medical therapeutics, surgical devices, and beyond.